A Gathering of Natural Resource Professionals and Livestock Producers to Discuss and Learn About Livestock Grazing as a Land Management Tool. 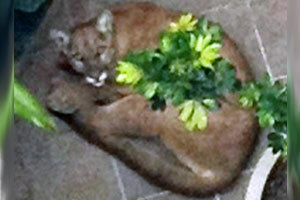 Police shot and killed a mountain lion that somehow made its way through an urban landscape before it was found early Tuesday in a downtown Santa Monica office building courtyard. The Vermont Fish & Wildlife Department says it is receiving reports of black bears emerging from their winter dens and looking for food. 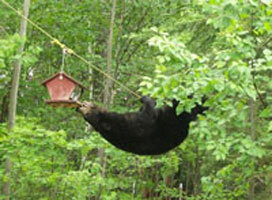 As a result, the department is urging people to take down their bird feeders to prevent the bears from getting into trouble. Department of Natural Resources conservation officer Steve Mooney has been named Michigan Conservation Officer of the Year by the National Wild Turkey Federation. The Missouri Department of Conservation (MDC) received final test results today from tissue samples taken from 656 free-ranging deer harvested earlier this year. 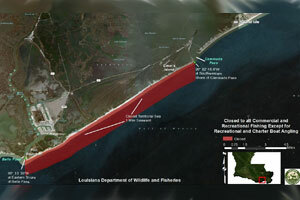 What can be done to control coyotes in South Carolina? Coyotes first appeared in South Carolina a little more than 30 years ago and continue to expand greatly in numbers, according to biologists with the S.C. Department of Natural Resources. Kids 15 years and younger can mark the arrival of spring by attending free fishing clinics on Saturday, April 14, at several lagoons and ponds in Milwaukee, Racine, Washington and Waukesha counties. Sportfishing seasons for halibut will be four days longer in Puget Sound, and more fish will be available for harvest early in the season off the state’s southern coast under catch quotas for 2012 adopted by the International Pacific Halibut Commission. Young Delaware wildlife artists will be in the spotlight this Saturday, March 24, during the annual Delaware Junior Duck Stamp Competition. In the past, when a resident or nonresident hunter failed to get a big game tag in the annual draw, they would lower their heads with the knowledge that they would have to wait another year for a chance to hunt big game in Nevada. The U.S. 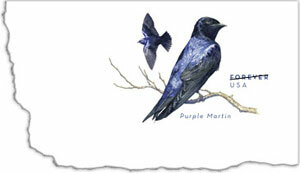 Postal Service is now offering a purple martin stamped envelope and a “Birds of Prey” stamp collection. The Department of Natural Resources is proposing to conduct prescribed burns on several state properties in Walworth, Waukesha, and Rock counties during March, April and May. 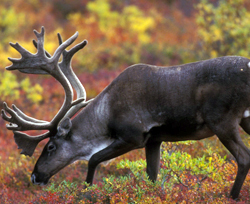 Bonner County commissioners in northern Idaho have approved spending up to $10,000 as part of plan to have Selkirk Mountain woodland caribou taken off the federal endangered species list. A new platform on a tall pole to accommodate nesting ospreys has been installed in Becker County by Xcel Energy, according to the Minnesota Department of Natural Resources (DNR). 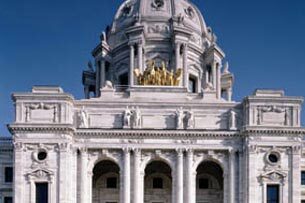 Fire danger in most of Minnesota is expected to increase rapidly in the coming week, as the snow continues to melt and winds dry the dead standing grass and brush in open areas. 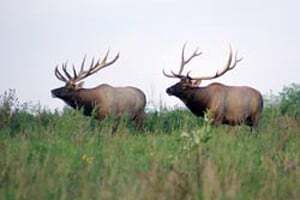 North Dakota’s 2012 moose, elk and bighorn sheep proclamation has been finalized and applications are available at the State Game and Fish Department’s website. The deadline for applying is March 28. OLYMPIA – The Washington Department of Fish and Wildlife (WDFW) now has an online reporting system for receiving information from the public about the state’s growing wolf population. Anyone who believes they have seen a wolf, heard one howl, or found other evidence of wolves anywhere in the state is encouraged to file a report on WDFW’s website at http://wdfw.wa.gov/conservation/gray_wolf/reporting/….